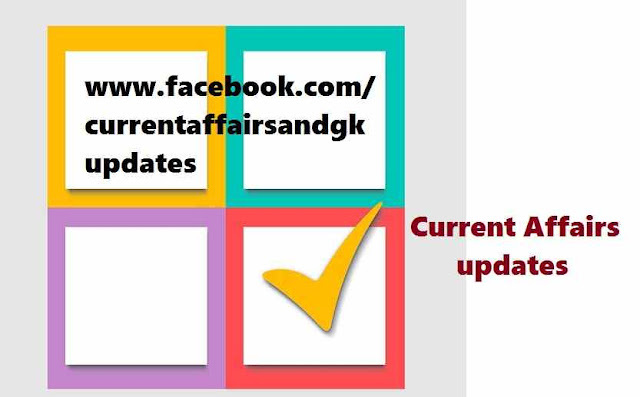 Current news and updates till 6th October 2015 are provided. Updates on 3rd October,4th October , 5th October and 6th October are covered. 1.BCCI mints special toss coin for Gandhi-Mandela series.The coins has photographs of Mahatma Gandhi and Nelson Mandela laser engraved on it. 2.Commemorating Mahatma Gandhi's 146th birth anniversary, BCCI launched specially minted toss coin for the India-South Africa cricket series.The toss coin is 20 grams gold-plated sterling silver coin.The impression of "Mahatma Gandhi and Nelson Mandela" as Heads and the Freedom Series as "Tails". 3.Indian Tennis Star Sania Mirza-Swiss Star Martina Hingis won 7th title together by winning the Wuhan Open women's double trophy. 4.The producer of landmark movies like Shankarabharanam, Sagarasangamam and Swatimutyam, Edida Nageswara Rao passed away at the age of 81. 5.Shashank Manohar has been formally elected as BCCI President at the board's Special General Meeting.Manohar succeeded Dalmiya as BCCI President. 6.Germany returned India a 10th Century Durga Idol that had gone missing from a temple in Kashmir over two decades ago. 7.The idol was handed over by visiting German Chancellor Angela Merkel to Prime Minister Narendra Modi after it was spotted in a museum in Stuttgart. for the discovery of neutrino oscillations which shows that neutrinos have mass.